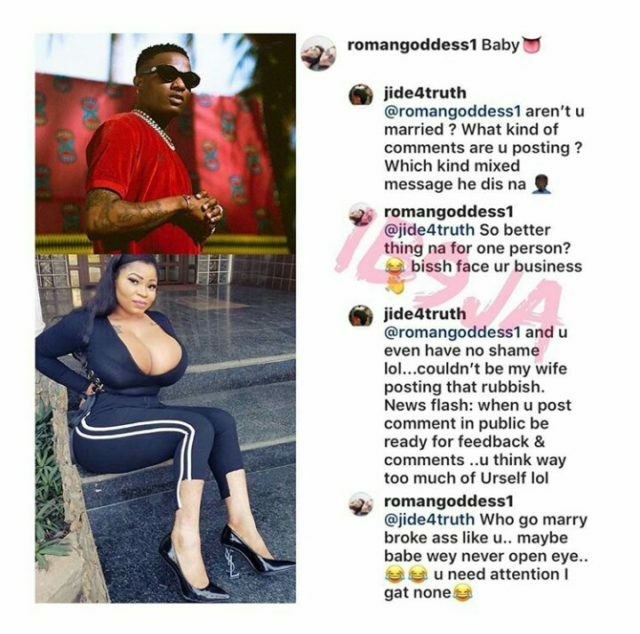 Married socialite, Roman goddess takes to Wizkid’s IG comment bar to drop a comment in a bid to get the singer’s attention but gets bashed by a troll. The troll was furious at her, telling her to stay married and stop trying to shoot her shot at the singer, he then thanked God he can never date someone like her. Roman goddess did not pay a deaf ear to the cyberbully as she was quick to scold him calling a broke guy.